Leading roads firm Kier Highways is providing lifesaving training at Traffex 2019. During the 2-4 April event in Birmingham, it is aiming to train 45 people in the lifesaving first aid, CPR. The 20-minute training sessions will be hosted three times a day and will be delivered by Kier CPR facilitators on its stand H060 for a maximum of five people at a time. There is also the opportunity to add more sessions if there is the demand. Dave Wright, executive director for Kier Highways, said: 'Across the UK there are around seven million people living with heart and circulatory disease. CPR is a lifesaving skill everybody should have and through our partnership with the British Heart Foundation we have trained over 10% of our workforce in this. 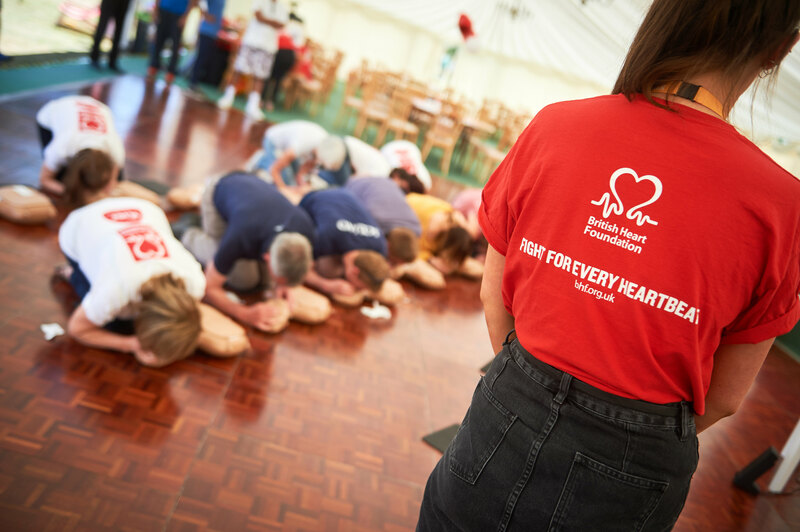 As part of its charity partnership with The British Heart Foundation, Kier has pledged to train 1,500 employees in CPR in one year. The infrastructure services, buildings and housings and development Group has surpassed that target with more than 2,100 Kier Lifesavers now trained. Training sessions will be hosted at 11am, 1pm and 3pm each day. To book onto a session, download the Traffex app. Just go to the app store and type in Traffex or Parkex to get you free download.